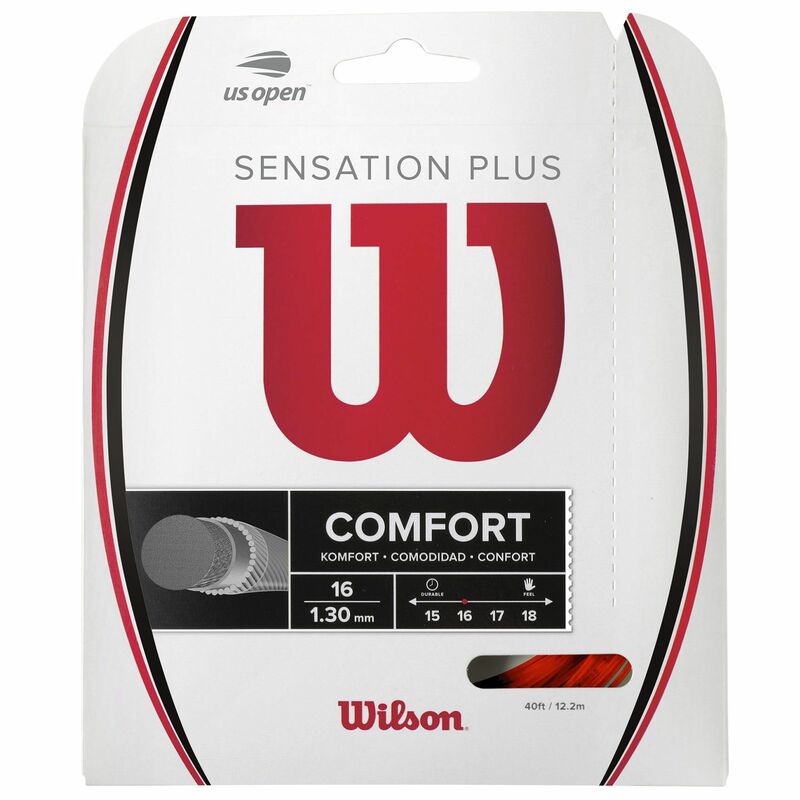 Designed for upmost comfort and phenomenal feel, the Wilson Sensation Plus tennis string set is designed with multifilament core and metallic ribbons combines into one. The string offers comfortable playability, good power and maximum control over strokes. Also, it ensures excellent touch with rougher outer texture and a gut-like feel, and this gauge 16 string is shipped in a convenient 12.2m (40ft) set. for submitting product information about Wilson Sensation Plus Tennis String Set We aim to answer all questions within 2-3 days. for submitting product information about Wilson Sensation Plus Tennis String Set. We aim to answer all questions within 2-3 days. If you provided your name and email address, we will email you as soon as the answer is published. for submitting product review about Wilson Sensation Plus Tennis String Set.